Zack Ruskin is a bookstore marketing director living in San Francisco. His work has appeared in The Believer, The Rumpus, and Goodreads. He also serves as a staff writer for Consequence of Sound. He recently helped organize the inaugural California Bookstore Day in 2014. Follow him on Twitter @frozentooth or visit him at zackruskin.com. If you enjoyed this Q&A, you might be interested in checking out some of these resources. The page has been updated to include a link to this interview. Thanks for a great interview, Zack. 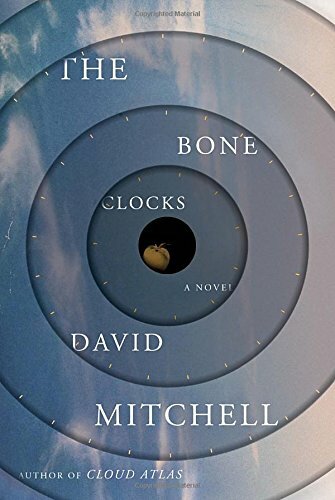 Particularly interested in your question about how David created words for The Bone Clocks. Oh, I really want to read this book! Love the quote “Realism, when done well, is more fantastical than fantasy.” So true! Can’t wait to read!!! I love Mitchell’s books, but this one fell flat about halfway through. I hope the next one will go back to his usual strong style. That’s a lot of righteous indignation from someone who just flew over the Atlantic to promote his novel. Or was it the Pacific? Given all the years you spent writing your book or composing your music or perfecting your play before someone came along and spat on it, it’s extraordinarily difficult to respond to a bad review with grace. The whole Sylvia Plath life story has been approached in a reductionist way. I wanted to do something different. Because when I read her journals I see someone who’s so lively, so hungry for life, and really engaged in the world in a relatable way.